What is the cheapest way to get from Chester to Bala? The cheapest way to get from Chester to Bala is to drive which costs £6 - £10 and takes 54m. What is the fastest way to get from Chester to Bala? 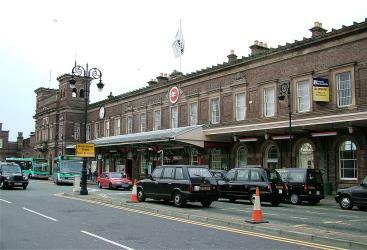 The quickest way to get from Chester to Bala is to taxi which costs £110 - £140 and takes 54m. How far is it from Chester to Bala? The distance between Chester and Bala is 35 miles. The road distance is 41.7 miles. How do I travel from Chester to Bala without a car? The best way to get from Chester to Bala without a car is to bus and taxi which takes 1h 29m and costs £60 - £80. How long does it take to get from Chester to Bala? 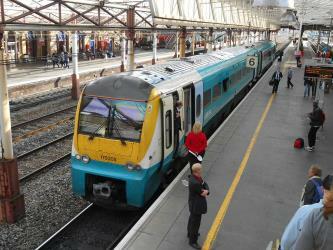 It takes approximately 1h 29m to get from Chester to Bala, including transfers. Can I drive from Chester to Bala? Yes, the driving distance between Chester to Bala is 42 miles. It takes approximately 54m to drive from Chester to Bala. Where can I stay near Bala? There are 509+ hotels available in Bala. Prices start at £49 per night. What companies run services between Chester, England and Bala, Wales? 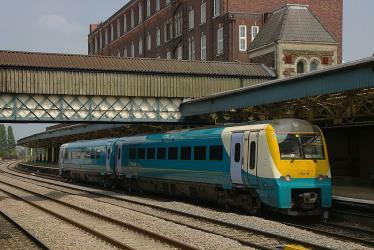 There is no direct connection from Chester to Bala. However, you can take the bus to Ruthin, Town Hall then take the taxi to Bala. Alternatively, you can take the taxi to Bala. Discover how to get to attractions and hotels near Bala. Bala Lake is a lake in Gwynedd, Wales. The name Tegid may be related to Welsh teg, meaning "fair". It was the largest natural body of water in Wales before its level was raised by Thomas Telford to help support the flow of the Ellesmere Canal. It is 3.7 mi long by 0.5 mi wide, and is subject to sudden and dangerous floods. The River Dee runs through it and the waters of the lake are famously deep and clear. The town of Bala sits at its north-eastern end and the narrow gauge Bala Lake Railway runs for 3 mi along the lake's south-eastern shore, and continues south-westward to the village of Llanuwchllyn (whose name means "church ['llan'] above ['uwch'] the lake ['llyn'"). Pistyll Rhaeadr is a waterfall, located a few miles from the village of Llanrhaeadr-ym-Mochnant in Powys, Wales, twelve miles west of Oswestry. The Bala Lake Railway (Welsh: Rheilffordd Llyn Tegid) is a narrow-gauge railway along the southern shore of Bala Lake in Gwynedd, North Wales. The line, which is 4+1/2 mi long, is built on a section of the former standard-gauge Ruabon–Barmouth GWR route that closed in 1965. Another section of the former permanent way is used by the Llangollen Railway. The Bala Lake Railway, which runs on -gauge preserved rolling stock, is a member of the Great Little Trains of Wales. Rome2rio makes travelling from Chester to Bala easy. Rome2rio is a door-to-door travel information and booking engine, helping you get to and from any location in the world. 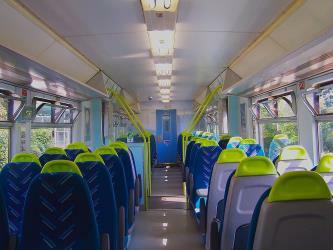 Find all the transport options for your trip from Chester to Bala right here. Rome2rio displays up to date schedules, route maps, journey times and estimated fares from relevant transport operators, ensuring you can make an informed decision about which option will suit you best. Rome2rio also offers online bookings for selected operators, making reservations easy and straightforward.